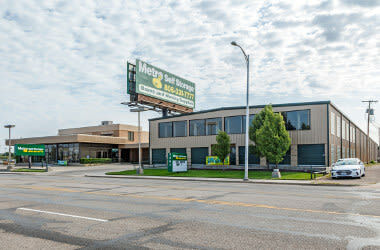 Metro Self Storage offers storage units ranging in size from handy 5X5 and 10X10 storage units that are ideal for storing holiday light displays and decorations and seasonal sports and camping gear. Our large and extra-large commercial units can store everything from an entire household to extra business inventory, tools, supplies, and equipment. Are you looking for Amarillo RV storage? We offer outdoor parking for boats, commercial vehicles, and cars. Month-to-month parking spaces and storage rentals give you the flexibility to store for as much or as little time as you need and value-driven storage rates will keep you and your pocketbook happy. Our knowledgeable storage specialists are here to help you determine the right-sized unit to fit your individual storage requirements, so you don’t have to pay for more space than you need. Do you already know what storage unit size you want? Great! Reserve your storage unit online now to take advantage of our online promotions. Flexible storage solutions and competitive prices can help grow the bottom line, and a convenient location in Amarillo can save you travel time. 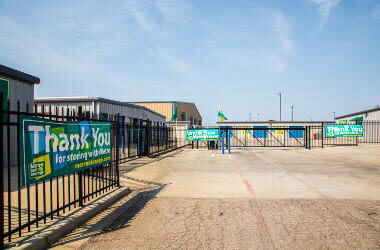 Are you looking for an Amarillo storage facility that offers RV and car parking near the Tradewind Airport? We offer secure and convenient parking for RVs, boats, commercial vehicles, and more. 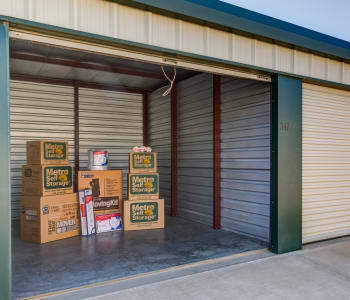 Our fully fenced storage facility features ample lighting, secure electronic keypad access, and 24-hour video surveillance for your peace of mind. Whether you have an extra car in your driveway or garage or own a commercial vehicle that you would like to park in a secure place, our easy-to-use online reservation system is available 24-hours a day. Access to your stored vehicle every day of the year—even on holidays and Sundays. 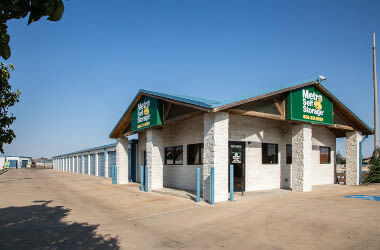 Call us to learn more about your Amarillo vehicle storage options with Metro Self Storage.